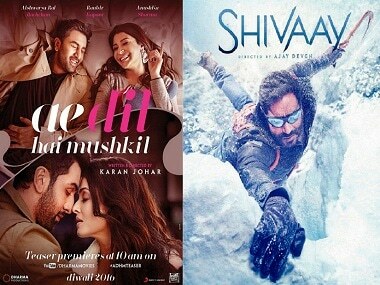 As both Ae Dil Hai Mushkil (ADHM) and Shivaay inch towards the coveted 100-crore club, ADHM has covered its costs in the first week while Shivaay still has a long way to go. Made with a budget of around Rs 70 crore, the seven-day total net collection of ADHM at the box office was Rs 80.19 crore in the domestic market, according to a report by International Business Times. On the other hand, Shivaay has a humongous budget of around Rs 150 crore to cover but its total net box office collection after the seventh day stands at Rs 70.11 approximately. As predicted by trade pundits, both the films picked up business after the opening weekend as the analysts attributed the relatively lackluster opening of the Diwali releases to the fact that people were busy with the Diwlai pooja and festivities during the weekend. According to the report by International Business Times, the approximate collections on Thursday for both the films were Rs 6.18 crore and Rs 5.75 crore respectively. 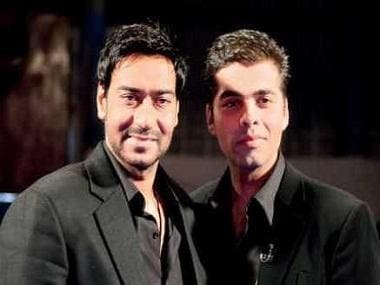 Given the fact that there is no Hindi release this Friday, it is a golden opportunity for both the films to mint more money. While ADHM can use the lack of new competition to hit the 100-crore mark, Shivaay should buck up and fervently hope that it somehow ends up close to their budget of Rs 150 crore. While both the films are faring well at the box office, their collection and progress is not up to the standards of previous Diwali releases. This proves yet again that though a release at Diwali gives the film a much-needed push, but it is the content that governs its subsequent growth at the box office.